This commercial is solely the reason why we are taking the train down to Kristiansand for a weekend getaway! I will be gone until Sunday, but I will be back with lots of pictures and hopefully some videos! I actually love taking the train, not only for economical reasons but for the environment. Which means I can chill with my headphones and check out the mountains and seaside that our car wouldn't get the opportunity to see. We are going to the zoo, and we get to feed the lions, and hang out with the wolves and feed the monkeys too! It should be interesting! I will let you know how it goes! 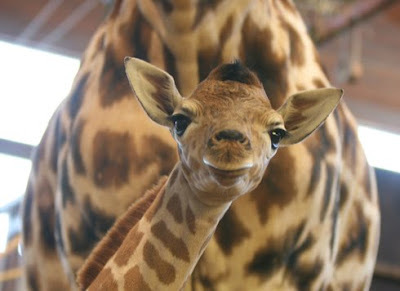 I'm excited to meet this new baby giraffe named Melvin! Aw! I'll let you know how it all went down!